For the last 42 years, our primary focus remains on local agriculture and rancher products. Join us at The Hamburg Farmers’ Market for the 2019 Season! Oncotherm uses heat for selective targeting Photodynamic Therapy uses IV laser and photosensitizing materials Hyperbaric Ten Pass Ozone pressurized ozone at high concentrations Nature Medicine Clinic is the only healthcare facility in North America that offers all three cutting edge technologies! impact of their ideas and approaches may have for cancer patients,” says Candace S. Johnson, PhD, Roswell Park President and CEO. The $6.6 million from the NCI, a prestigious five-year Research Project Grant or “R01” award, will fund a project led by Song Yao, PhD, associate professor of oncology in the department of cancer prevention and control. His investigation is a multi-institution, multi-investigator project that seeks to understand how DNA mutations relate to the health disparities we see in breast cancer among African-American women. African-American women face the highest risk for the aggressive triple-negative type of breast cancer and have the highest mortality rate from breast cancer compared to other population groups. This project, B-CAUSE (Breast Cancer in African Americans: Understanding Somatic mutations and Etiology), will pool data and tumor samples from several studies across the nation, creating the largest tumor genomic database from African-Americans with breast cancer. “Our study will provide a more definitive answer to the long-standing question of whether or not breast cancer biology differs by ancestry,” said physician Yao, who will lead this research in collaboration with colleagues from Boston University, Vanderbilt University and the University of Southern California. Partner with Your Provider To determine whether you have a heart condition, your health care provider will do diagnostic tests and procedures. If you have heart disease or have had a stroke, members of your family may also be at higher risk of having the disease. It’s very important to make healthy choices now to lower risk. “As a nation, we need to better understand and to systematically address the factors that drive these devastating deaths of despair.” John Auerbach, president and CEO of Trust for America’s Health. Catholic Health is sponsoring an information program titled, “Minimally Invasive Surgical Options to Improve or Restore Fertility” from 5:30 to 7:30 p.m., Thursday, April 4, at the Millennium Hotel, 2040 Walden Ave., Buffalo. Join nationally recognized women’s health expert, physician Ali Ghomi, for dinner and a discussion on how minimally invasive gynecologic surgery can help improve fertility. He’ll discuss how robotic surgery can be used to treat advanced endometriosis or reverse a tubal ligation, increasing a woman’s potential to become pregnant. “Minimally Invasive Surgical Options to Improve or Restore Fertility” is open to the public. Guests are invited to attend one free community program per calendar year. After that, the cost is $20 and includes a meal. Space is limited and reservations are required. For more information, call 716-447-6205 or visit chsbuffalo.org/events. whose innovative approach to Alzheimer’s disease and dementia care has been recognized internationally, will be the featured speaker at the Alzheimer’s Association Dementia Care 2019 caregiver conference May 22 at the Holiday Inn-Syracuse/ Liverpool/Exit 37, 441 Electronics Pkwy., Liverpool. The eighth annual conference is intended for family and professional caregivers of individuals living with Alzheimer’s disease or another dementia. Register for the event at alz. org/cny or by calling 315-472-4201. Admission is $65 through April 30 and increases to $80 on May 1. Snow, an occupational therapist and educator with more than four decades in geriatric care, developed The GEMS brain change model focusing on the person living with Alzheimer’s disease or another dementia’s abilities within a moment to create a supportive care environment. According to Snow, “Just as gemstones need different settings and care to show their best characteristics, so do people. Rather than focusing on a person’s loss when there is brain change, seeing individuals as precious, unique, and capable encourages a care partnership and is the core of this model.” The conference registration fee includes access to all sessions and interactive expo, a conference manual, continental breakfast and lunch. Free Yoga Series at Albright-Knox Art Gallery found. Whites, males and people in rural areas had the highest suicide rates. In 2017, the death rate from alcohol, drugs and suicide was 72.4 per 100,000 for 35- to 54-year-olds. For all men, it was 68.2 per 100,000, and for all women, 25.7 per 100,000. “As a nation, we need to better understand and to systematically address the factors that drive these devastating deaths of despair,” John Auerbach said in the joint news release. He’s president and CEO of Trust for America’s Health. Overall, 43 states and the District of Columbia saw their death rates from alcohol, drugs and suicide rise between 2016 and 2017. Five states -— Massachusetts, Oklahoma, Rhode Island, Utah and Wyoming — saw declines. West Virginia had the highest rate per 100,000 at 91, followed by New Mexico (77); Ohio (69.4); Alaska (67.6), and New Hampshire (66). Miller said tackling such a complex problem is not about adding up small changes but about a bigger transformation. “Each time we make progress — like with prescription opioids — new problems, like synthetic opioids, appear,” he said. tions for BlueCross BlueShield of Western New York. “Our partnership with the Albright-Knox Art Gallery provides our community with an elevated yoga experience in a vibrant showplace for modern and contemporary art.” “We are very excited to be partnering with BlueCross BlueShield and Buffalo yoga studios to support wellness in Western New York,” said Jennifer Foley, director of education and community engagement for Albright-Knox. Art of Yoga is free and open to the public. No experience or flexibility is required to participate. Participants are required to preregister online at www.albrightknox. org/wellness, call 716-270-8292, or sign up at the Albright-Knox admissions desk. ew nurses are predominantly working 12hour shifts and nearly half work overtime, trends that have remained relatively stable over the past decade, finds a new study by researchers at NYU Rory Meyers College of Nursing. In addition, 13 percent hold a second job, according to the study published in the Journal of Advanced Nursing. Changes in health policy in recent years — from the passage of the Affordable Care Act and increased access to healthcare to the recession, which delayed some nurses’ retirements — have had implications for nurses and the hours they work. “Research shows that nurses’ hours, scheduling patterns, and overtime have been associated with patient safety and nurse well-being,” said Amy Witkoski Stimpfel, Ph.D., assistant professor at NYU Meyers and the study’s lead author. “However, we wanted to understand what these changes in the global economy have meant for the newest generation of nurses. Stimpfel and her colleagues analyzed surveys from more than 4,500 newly licensed nurses in 13 states and Washington, D.C., collecting information on nurse demographics, education, work attributes, and attitudes. Specifically, nurses were asked about their work schedule, daily shift length, weekly work hours, overtime, and whether they worked a second job. Four different cohorts of nurses — those first licensed in 2004-2005, 2007-2008, 2010-2011, and 20142015—completed the survey soon after being licensed; these cohorts were compared to observe changes over time. The researchers found that newly licensed nurses work an average of 39.4 hours a week, predominantly in 12-hour shifts. More than 13 percent report having a second paid job. New nurses prefer working the day shift, and the preferred shift length is 12 hours. Twelve percent of nurses report working mandatory overtime (an average of less than an hour in a typical week), and nearly half (45.6 percent) work voluntary overtime (an average of three hours in a typical week). The researchers observed nuanced changes in overtime hours during the decade studied: there was a decline in both mandatory and voluntary overtime during the economic recession by about an hour per week, but overtime hours rose in the most recent cohort. In the News Physician Jon VonVisger was recently appointed primary nephrologist and medical director at the Regional Center of Excellence for Transplantation and Kidney Care at ECMC. VonVisger completed combined medical and Ph.D. degrees at the University of Maryland, School of Medicine in Baltimore in 1996 with doctoral work on central nervous system regeneration and nerve growth factors. He went on to complete an internal medicine residency in the University of Maryland Medical System. He is specialty trained in nephrology and transplant medicine through Harvard, Massachusetts General and Brigham and Women’s hospitals. VonVisger also practiced transplant nephrology at The Ohio State University (OSU) Comprehensive Transplant Center in Columbus, one of the 10 largest transplant centers in the United States, from 2005 to 2018. lot of direct outreach to donors? A: I do. We do have some of our administrators here who help direct our outpatient clinics as well as going to dialysis centers to speak to potential candidates for transplant and to provide education. We have organizational meetings with the local procurement programs and help make sure they understand our criteria and processes. A fair number of our patients will transition back from our outpatient clinics post-transplant so they’ll have collateral support. Q: What kind of impact do you want to have on the department at ECMC? A: It’s an underserved area here, so outreach is a part of that. We’d really like to grow the program. So this is one of the shortest wait lists in the country. We’re regularly bringing in patients to transplant, and they’re not on the list very long. There are other avenues we’d like to expand; we’d like to do clinical trials and studies that will help improve the outcomes of transplant. Q: How do you keep the wait list so short? A: Well, being not only just more available, some programs turn down offers pretty regularly, whether it’s due to staffing issues or selectivity, what we’d often call “cherry-picking.” The more recently adopted kidney allocation program in the last years really is directed at efforts to expand organ acceptance and organ placement to recipients for whom they’re more appropriate, and discarding fewer organs. the brain is either blocked by a clot, which is called an ischemic stroke, or it ruptures, a hemorrhagic stroke. That cuts off the vital blood and oxygen flow to that part of the brain. This kills brain cells, which can kill a person or severely debilitate them. “A stroke can be incredibly fatal and debilitating,” added Levy. “People can die from this because anytime arteries are clogged and you are losing brain cells that can be a dire combination. If you are having a stroke, for every minute that an artery is blocked you lose two million brain cells. Even though we can treat people hours after a stroke, the more you wait the more brain damage you have.” Perry was slightly young for a stroke victim, as 66 percent of those who suffer from such an attack are 65 or older, according to the Center for Disease Control and Prevention. But strokes, which are behind about 5 percent of U.S. deaths annually, are on the rise among those between 25 and 44. Perry’s father died in his mid-30s from a heart attack. “If you have any risk factors like high blood pressure, high cholesterol or smoking, you have to beware. Patients with these issues have a higher likelihood of stroke,” said Fahed Saada, neurologist at St. Joseph’s Health in Syracuse. “That is why you have to watch for as many warning signs as possible.” The American Stroke Association suggests learning the F.A.S.T warning signs that someone is having a stroke, including: • Face drooping: Does one side of the face droop, or does it feel numb? Ask the person to smile; is the smile uneven or lopsided? Actor Luke Perry died recently at age 52.
limit the time physicians can spend with patients, and that affects career satisfaction. More than 30,000 physicians were invited to participate in the electronic survey. Roughly 17 percent (5,197) responded, and a second attempt to reach nonrespondents gained 248 more participants. Questions mirrored those on the previous surveys. Researchers say the reason for the change may be due to physicians adapting to the new work environments over the three-year period. Also, much progress may be attributed to interventional programs to stem burnout in hospitals and other facilities. Conversely, they say the indicators may have improved because many distressed physicians have left the profession. found no connection between vaccines and autism. People might think the two are linked because the MMR vaccine is administered at the same phase in a child’s development when they may begin to show signs of autism spectrum disorder (not responding to their name, oversensitive to noise). No.2: It is not “safer” to space out the vaccines. The CDC recommended schedule is based on disease risks, vaccine effectiveness at certain ages and vaccine interactions with each other. No. 3. Vaccines do not contain harmful chemicals. Some substances contained in some vaccines do sound harmful, notably formaldehyde and mercury. The former is naturally produced in our bodies and the trace in vaccines is far less. The ethylmercury used in flu vaccines is safe and much different than the toxic methylmercury which most of us should be worried about. No. 4. You cannot rely on everyone else’s immunity/vaccination to protect your unvaccinated children. If an outbreak occurs, unvaccinated children are far more likely to get sick. sive, you can be charged per page. It can get expensive, especially if a hospital record. HIPAA regulations state you are entitled to a digital copy of your record if the provider has the capability to do so. In response to complaints from consumers about providers blocking/impeding electronic access to their data, the Department of Health and Human services recently made public several rules that would allow consumers easier access to their record via the app of their choice, like a smartphone, at no additional cost. The healthcare industry has been slow to adapt to available technology. In fairness, providers cannot simply raise prices to pay for their investment in information technology because their reimbursement from their party payers is fixed. Price transparency Unaware of what a procedure costs, consumers inadvertently can drive up their own premiums by unwittingly using more expensive providers. For example, your insurance benefit summary says you have a $50 copay for an outpatient MRI. So, no matter where you go for the MRI, all you know is you owe $50, regardless of the cost. Your insurance company has different payment schedules per MRI provider. It often depends on the negotiating power of the MRI provider. Larger hospital / health systems can demand higher reimbursement than smaller facilities and private physicians. By inadvertently getting your MRI done where the insurer has to pay more, you increase the expense to the insurer which causes your premium to go up. In the cases where you have a 20 percent copay, you still don’t know the overall cost and may be going to the highest price facility. George W. Chapman is a healthcare business consultant who works exclusively with physicians, hospitals and healthcare organizations. He operates GW Chapman Consulting based in Syracuse. Email him at gwc@gwchapmanconsulting.com. “Writer on the Run” is a monthly column written by Jenna Schifferle of Cheektowaga. She chronicles her experience training for the Chicago Marathon in October. though, is that doing this is not “quitting.” When your body is aching, and your form is suffering, you need to listen to the warning signs. Sure, there are times when you can and should push through the discomfort, but there are also times when your body just needs a break. Whether you’re a runner or not, you can apply that lesson in so many areas of your life. Self-care matters. When I got back to Knox Farm, I was discouraged and disappointed in myself. But I wasn’t alone. Other runners had also decided not to continue on. They stood around talking and stretching, and taking in the scenery. When I finally caught my breath, I realized that moments like those are also part of the journey. Many people think that it’s the distance that’s difficult. In reality, it’s the process of learning your limits, whether you’re recognizing them or shoving past them. The most important thing is to always fall forward. And if someone does happen to catch you on camera at your worst moment? Well, maybe you should stop and strike your best pose. here has been a significant increase of autism spectrum disorder diagnoses in the last 40 years, according to the Centers for Disease Control and Prevention. There are three million individuals in the United States and tens of millions worldwide who have autism. While having a child with autism can present some challenges, this diagnosis does not mean that all hope is lost. Half the battle with any diagnosis is understanding what the condition means, how to be proactive in treatment and managing the condition so that the child can still have a high quality of life. “It is essential to let people know that having a child with autism spectrum disorder can be challenging but extremely rewarding,” said physician Michelle Hartley-McAndrew, who runs the autism center at Oishei Children’s Hospital and teaches pediatrics and neurology at the University at Buffalo Jacobs School of Medicine and Biomedical Sciences. “People who are diagnosed have many different strengths and challenges.” Here are five key facts you need to know about autism in children, according to Hartley-McAndrew. ecent research published in the journal Pediatrics indicates that children with autism spectrum disorders (ASDs) are at double the risk for experiencing difficulties with sleep than children not on the spectrum. Researcher Ann Reynolds, a physician and associate professor, developmental pediatrics, University of Colorado School of Medicine, found that children between the ages of 2 and 5 years are more likely to delay bedtime, struggle getting to sleep, feel anxious about sleep, awaken during the night and have night terrors, all of which can mean fragmented sleep. Children also need sleep for their own mental health benefits. Soda Kuczkowski, owner of Start With Sleep in Buffalo, is certified in maternity, child and adult sleep and is a diagnostic sleep consultant and clinical sleep health educator. la said. For some children, the same pajamas, teddy bear, blanket or other objects associated with sleeping help them settle because they’ve added them to the routine. Panzarella added that environmental factors conducive to good sleep are highly individual. “Our kids on the spectrum have so many sensory sensitivity issues,” Panzarella said. “If your child could be distracted at night, heavy curtains can block the light.” Those who are noise sensitive may find white noise or a fan unbearable, as well as ambient sounds from outside the room. Thick carpeting, soft wall hangings and sound-absorbing ceiling material can help absorb sounds from the rest of the household with a later bedtime. “It may make sense to move their bedroom to a quieter area of the house,” Panzarella suggested. Consider the room’s temperature, as well as the bedclothes and pajamas. It’s difficult to sleep in an overly warm bedroom. Many of the steps towards better sleep are simple and inexpensive; however, maintaining them consistently is key to achieving better sleep. Members of Invisible Illness Game Night Meetup Group at a regular monthly meeting at Denny’s on Genesee Street in Cheektowaga. someone’s latest diagnosis, an upcoming appointment with a specialist or the different symptoms they have, just being able to talk to one another is an amazing opportunity that I look forward to, especially if I’m having a rough time or someone else is dealing with something incredibly difficult.” Always looking to grow the group, Gurnett said scheduling special events outside of the monthly meetings was a natural evolution for the diehard participants. “We’ve kind of all become best friends,” said Gurnett. “What that means is we do other things outside of the meetup group. We hang out together on a pretty regular basis. We go to baseball games in the summer, we check out local escape rooms, and we plan other fun outings throughout the year.” Anyone diagnosed with an invisible illness in the 18 to 45 age bracket looking for like-minded people are encouraged to reach out and learn if the peer-to-peer support group for chronic illnesses would help them. “We are the most laid-back support group that I’ve ever been a part of,” said Hummel. “If anyone wants to check us out I strongly encourage it because the benefits could be really impactful. We’re here to listen, to provide advice and to be there for anyone who thinks they would get something out of it. We are a fun bunch of people who are always looking to grow the group and make new friends.” More information about joining the Invisible Illness Game Night Meetup Group can be obtained by visiting www.meetup.com/InvisibleIllnessGameNight or by calling (716) 880-0404. The skinny on healthy eating raise good cholesterol and lower bad cholesterol, and phosphorous, which helps regulate heartbeat and muscle contractions, contribute to heart health. And now for the bad. Ham — versions that are not reduced-sodium, that is — can be loaded with sodium. Loaded! We’re talking around 1,200 milligrams in a 4-ounce serving, which is almost all of the 1,500-milligram recommended daily limit for people with high blood pressure and over half of the 2,300-milligram limit recommended for healthy people. Consuming too much sodium, as many know, increases your risk for high blood pressure and heart disease. Also bad: Processed meats, like ham, can increase your risk for numerous health problems. Studies show that consumption of these cured meats has been linked to a higher risk of heart disease, Type 2 diabetes, and certain cancers. The nitrates used to preserve processed meats and improve the flavor are known carcinogens. extra income. Personal assistant programs inspire members to actively lead the decision-making in managing their home health care. Instead of living with an “ask for help as things come up” approach, the CDPAS benefit provides the reliability of a schedule and expectations that members prepare for their assistants. Members enjoy increased independence and more consistent care from someone who knows them well, and this valued partnership goes a long way to keeping them happy at home. For more information about CDPAS , call716-274-5000. Jennifer Redding is the vice president of Liberty Home Care, a New York statelicensed home care agency that provides services and durable medical equipment to Western New Yorkers with a variety of health care needs. a good experience, that’s a lasting memory.” Hamad Ghazle with Rochester Institute of Technology, sees plenty of demand, “locally, regionally and nationwide” for sonography. “Ultrasound is really becoming widespread in many parts of the world,” Ghazle added. “The demand is everywhere. The statistics show the demand will continue to increase into the future.” Ghazle is program director, professor and advanced practice sonographer with the Diagnostic Medical Sonography Program at the College of Health Sciences and Technology at RIT. The school offers an ultrasound program accredited by the Commission on Accreditation of Allied Health Programs. It includes a certificate in general and cardiac sonography and a bachelor’s degree in sonography, though in New York, only an associate’s degree is required before sitting for the required certification exam. At RIT, students receive clinical training and classroom instruction. A strong aptitude in science may be helpful. “They use the latest technology and work in a an outstanding, vibrant environment,” Ghazle said. “As you work in this field, you’re challenged on a daily basis to provide the best care, best examination and provide high quality diagnostic images.” He believes that the work includes elements of other professions, including medical engineering, industrial engineering, mechanical engineering and medical care. Other related opportunities could include managing, education and working for companies that build and sell the equipment. Ghazle said that repetitive motions when performing ultrasounds can result if technicians don’t use proper ergonomics. Because of the high demand, another challenge is the size of the workload for some people. “The field is increasing all the time,” Ghazle said. Photos courtesy of Donna Stewart Photography. Russ Salvatore is thanked by Jonathan A. Dandes, right, chairman of the ECMC board of directors after he donated $1 million to the hospital. watch TV. He asked for a meeting with Lomeo, now the CEO of Kaleida Health, and Sue Gonzalez, executive director of the ECMC Foundation. After a brief conversation, Salvatore proposed a unique donation idea: He would replace each TV with a new flat-screen and eliminate the fee. Once news got out about his generous donation, a restaurant customer said her mother was in Roswell Park suffering from cancer and they were charging her to watch TV. “I just couldn’t believe it,” he said. “Patients suffering from the worst sickness in the world and they have to worry about paying to watch TV. I then made it a point to replace every television located in Western New York hospitals and for fees to end.” Compliments of Salvatore, 2,861 TVs have already been replaced in nearly every WNY hospital room at a cost of more than $3 million. He is in discussions with the final two — Kenmore Mercy and Mount St. Mary’s in Lewiston. Salvatore and Mark Jerge, his vice president-general manager of the restaurant and the Russell J. Salvatore Foundation, has calculated that based on an average of four viewers per day in each hospital room, the gift is providing more than 4.1 million people annually the opportunity to watch TV for free during their hospital stays. entertained and informed,” explains Matthew Clark, who operates a local dance studio and who was in ECMC for a month in 2014 after suffering a massive stroke. He is fully recovered, calling it his “ECMC Miracle.” “Thank you, Mr. Salvatore, for your generous gift that made my stay a little more bearable,” he said. Salvatore’s foundation also funded the Russell J. Salvatore Orthopedic and Rehabilitation Floor at ECMC and last year, he committed $1 million to construct the Russell J. Salvatore Atrium Lobby as part of the hospital’s major renovation. Salvatore’s philanthropy goes beyond local hospitals. He comes to the aid of the American Red Cross, the Veterans Administration Hospital and numerous veterans’ causes; the new University at Buffalo’s downtown medical school; the Kevin Guest House, St. Luke’s Mission of Mercy and the Miracle League, to name a few. “Some of my dad’s blood is in me,” he said. His father owned Salvatore’s Restaurant on East Delavan when he was growing up. “He used to give four-foot chocolate bunnies to my friends every Easter and I would drive with him to Precincts 11 and 16 to deliver Thanksgiving and Christmas gifts. “We ask for my name on the buildings, so 20 years from now when they ask, ‘Who is Russ Salvatore?’ they will say, ‘A club owner who worked hard, made a lot of money but gave every penny away to the community that has supported him very well.’” Jerge, who has been with Salvatore for 21 years, says, “The uniqueness of his desire to help as many people as he can, to the point of spending down his savings, is absolutely amazing. He is doing it now so he can see first-hand the people of Western New York experiencing his generosity. He often refers to it as a debt he owes the community for their 70 years of support.” Salvatore, who greets hotel guests enjoying a complimentary hot breakfast at 9 a.m. and says good night to those who are leaving the restaurant at 10 p.m., is often asked for his secrets to good health. “Work hard. Don’t retire. Drink enough vodka, have a steak every night and two to three cigarettes a day. It won’t hurt you,” he said with a laugh. “Seriously, good health comes from the man above. If you are honest, fair and treat people well, he will reward you with good health.” As Salvatore said: Be his guest and let him do the rest. omen who get pregnant when using certain contraceptives might have their genes to blame, a new study suggests. A gene variant that breaks down hormones in birth control could be the culprit, researchers reported. “When a woman says she got pregnant while on birth control, the assumption was always that it was somehow her fault,” said lead study author, physician Aaron Lazorwitz. “But these findings show that we should listen to our patients and consider if there is something in their genes that caused this.” According to Lazorwitz, an assistant professor of obstetrics and gynecology at the University of Colorado School of Medicine, “The findings mark the first time a genetic variant has been associated with birth control.” Contraceptives are not 100 percent effective, but the reasons they fail are not fully understood. The new study included 350 healthy women, half older than 22. All had a contraceptive implant in place for between 12 and 36 months. Five percent of the women had a gene called CYP3A7 1C, which is usually active in fetuses and then switched off before birth. But some women with this gene continue to make the CYP3A7 enzyme into adulthood, the study authors noted. “That enzyme breaks down the hormones in birth control and may put women at a higher risk of pregnancy while using contraceptives, especially lower-dose methods,” Lazorwitz said in a university news release. The gene variant can be found through genetic screening, he added. Pharmacogenomics is a relatively new field that focuses on how genes affect a person’s response to drugs. The study shows how this field could dramatically change women’s health, “especially in light of the social, financial and emotional consequences of contraceptive failure,” the researchers noted. The report was published March 12 in the journal Obstetrics & Gynecology. receive acupuncture to complement standard fertility treatments. “Acupuncture has a great and gentle way of augmenting fertility,” Pardee said. “It’s part of Chinese medicine which is herbs, lifestyle and advice.” She said that acupuncture can aid in balancing hormones and supporting the health of endocrine system, ovaries, uterus and circulatory system. Clients also tend to sleep better, feel less anxious, and experience greater wellbeing. Pardee said acupuncture lowers the level of inflammatory markers. She said her patients tell her they can feel it’s helping them. “Some studies show acupuncture increases the success rate of IVF process,” Pardee said. She encourages couples interested in IVF to begin acupuncture treatments sooner than later to help support good health and improve their chances. • Women in their early 40s were the only group with higher birth rates in 2017, up 2 percent from the year. The rate has been rising since the early 1980s. • The cesarean section rate rose by a tiny amount after having decreased four years. Studies have shown C-sections are more common in first-time births involving older moms. 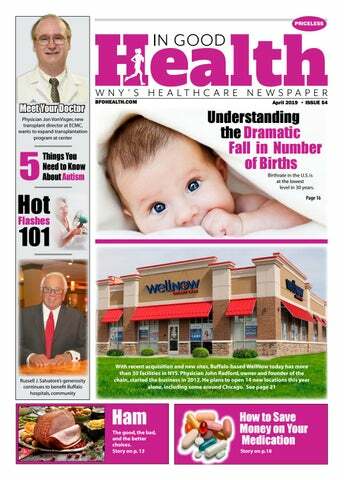 • Rates of preterm and low birth weight babies rose for the third straight year. • Birth rates for teens continued to nosedive, as they have since the early 1990s. In 2017, they dropped 7 percent from the year before. • Rates for women giving birth in their 20s continued to fall and hit record lows. They fell 4 percent. • Birth rates for women in their 30s fell slightly, dipping 2 percent for women ages 30 to 34 and 1 percent for women 35 to 39. Birth rates for women in their 30s had been rising steadily to the highest levels in at least half a century, and women in their early 30s recently became the age group that has the most babies. The U.S. once was among a handful of developed countries with a fertility rate that ensured each generation had enough children to replace it. The rate in the U.S. now stands less than the standard benchmark for replacement. It’s still above countries such as Spain, Greece, Japan and Italy, but the gap appears to be closing. A decade ago, the estimated rate was 2.1 kids per U.S. woman. In 2017, it fell below 1.8, hitting its lowest level since 1978. Information based on reports published in USA Today. All your home health care needed services in one place. pressure checks at your visit reveal a lot about your health risks, and you and your healthcare team can discuss other tests you might need, such as cholesterol measurements, PAP tests, and mammograms. Physical inactivity, obesity, and unhealthy eating, smoking, and excessive alcohol consumption increase the risk of heart disease, stroke, diabetes, and cancer. The evidence continues to grow that getting active, losing excess weight, and healthy habits can reduce these risks. leaning out the medicine cabinet is a chore that most people don’t think about, but it’s an important task that can help prevent medication problems, and protect children who may have access to these old, unused drugs. Here’s how you can clean out your medicine cabinet so it’s safe and useful. Your local pharmacy, as well as hospitals, clinics, long-term-care facilities, and narcotic treatment programs, might accept your mom’s unused medications, often as part of programs that collect and destroy unused drugs. Search for an authorized facility near you at DisposeMyMeds. org. You can also drop off her unused meds at designated police departments, fire stations, and other sites on National Prescription Take Back Day, Saturday, April 27. To find a collection site near you, visit TakeBackDay. dea.gov. information from the packaging and drop unwanted medication, including opioids, in the slot. Costco, Rite Aid and CVS pharmacies sell postage-paid envelopes for customers to mail any prescription, including opioids and over-thecounter medications, to a disposal facility. Start by trying GoodRx.com, BlinkHealth.com or WeRx.org. They will ask for the name of the drug, the dose, the number of pills, and where you live. Then they will show you what you can expect to pay at various pharmacies if you use their discount coupons or vouchers, which you can print out or download to your phone to show a pharmacist. • Pay cash: Most generic medications cost less if you don’t use your insurance. For example, chains like Target and Walmart offer discount drug programs that sell generics for as little as $4 for a 30-day supply and $10 for a 90-day supply if you pay out-of-pocket. While some insurance companies charge a $10 copay for a 30-day supply. Also ask your pharmacy if they offer a drug discount card program and compare costs with your insurance plan. You can also find free drug discount cards online at sites like NeedyMeds.org, which can be used at most U.S. pharmacies. 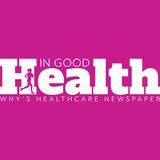 • Shop online: You can also save by using an online pharmacy like HealthWarehouse.com but be sure to use an online retailer that operates within the U.S. and is licensed. The site should display the VIPPS symbol, which shows it’s a Verified Internet Pharmacy Practice Site. • Search for drug assistance programs: If your income is limited, you can probably get help through drug assistance programs offered through pharmaceutical companies, government agencies and charitable organizations. To find these types of programs use sites like BenefitsCheckUp.org, PatientAdvocate.org, RxAssist.org and NeedyMeds.org. OK. But trace amounts of drugs can end up in the water supply so this should be done only as a last resort. To see the FDA list of medications that should be flushed when they are no longer needed, go to FDA.gov and type “flush list” into the search box. Or, another option is to purchase some medication disposal bags like the Medsaway Medication Disposal System. These are carbon pouches that are designed to neutralize all medication including narcotics, liquid medication, transdermal patches and controlled substances so you can just add water, and toss them in the trash. You can find medication disposal bags at some local pharmacies or online at Amazon.com for around $15. You’ll also want to make sure to scratch out all your mom’s personal information on the empty medicine bottles or other packaging before throwing it away to protect her identity and privacy. If you have other questions about proper drug disposal, talk to your pharmacist. Does Medicare Covers Vision Services? Dear Savvy Senior, I will be enrolling in Medicare in a few months, and would like to know how Medicare covers vision services? I currently have vision insurance through my employer but will lose it when I retire. Embrace Seasons Past... Begin Life Anew! Name ____________________________________________________ Business/Organization_______________________________________ Address __________________________________________________ City / Town ________________________State ________Zip ________ Where did you pick up this paper: What do you like about In Good Health? Your comments maybe used for marketing and promotion purposes. their medical tests show and what medical treatments they’ve been given. If we need more information, we’ll ask them to get a special examination or test, for which we’ll pay. If we decide their disability benefits will stop, and they disagree, they can appeal our decision. That means they can ask us to look at their case again. When they get a letter telling them about our decision, the letter will tell them how to appeal the decision. You can read more about how we decide if you still have a qualifying disability at www.socialsecurity.gov/ pubs/EN-05-10053.pdf. People can check the status of their disability application with a personal my Social Security account at www.socialsecurity.gov/myaccount. This secure account gives people access to many tools that can save them time. Find out how Social Security is securing today and tomorrow at www.socialsecurity.gov. pursuit of people who conceal work activity while receiving disability benefits. We investigate and seek prosecution for people who receive benefits for a child or children who aren’t under their care, or who fail to notify Social Security of the death of a beneficiary and continue to receive and cash checks of the deceased. We also depend on you to help stop fraud. Q: I own a small business. How can I verify employees’ Social Security numbers? A: Employers can use our Social Security Number Verification Service to verify the names and Social Security numbers of current and former employees for wage reporting purposes. For more information, go to www.socialsecurity.gov/employer/ssnv.htm. Q: What is the earliest age I can begin receiving Social Security retirement benefits? A: The earliest age you can begin receiving Social Security retirement benefits is age 62. If you decide to receive benefits before your full retirement age, which for most people is age 66 or 67, you will receive a reduced benefit. Keep in mind you will not be able to receive Medicare coverage until age 65, even if you decide to retire at an earlier age. For more information, go to www. socialsecurity.gov/retire. No material may be reproduced in whole or in part from this publication without the express written permission of the publisher. The information in this publication is intended to complement—not to take the place of—the recommendations of your health provider. Consult your physician before making major changes in your lifestyle or health care regimen. aleida Health recently announced several leadership changes designed to improve care delivery, coordinate operations and further integrate Kaleida Health’s hospitals and affiliations. Donald Boyd was named executive vice president and chief operating officer (COO). In this role, he will be responsible for overseeing the day-today operations of the health system’s hospitals, longterm care Boyd facilities, home care division, laboratories, surgery centers, clinics and ambulatory sites. “As we continue to evolve and change to better meet our patients’ needs, Don’s leadership and unique skill set will help us better coordinate operations across the organization,” said Jody Lomeo, president and chief executive officer (CEO) of Kaleida Health. “In this role, we will work together to make Kaleida Health the very best place for patients to receive care, our caregivers to work and our physician partners to practice medicine.” Boyd, who has been with Kaleida Health since its inception in 1998, most recently served as the executive vice president for business development and affiliations. He oversaw Kaleida Health’s affiliations with partners like Upper Allegheny Health System, Brooks Memorial Hospital, TLC Healthcare Network and Eastern Niagara Hospital. He also led numerous successful transactions and business development initiatives over the years, including MASH, Western New York Urology Associates, Cancer Care of Western New York and the Great Lakes Health Cancer Care operation. Boyd was appointed senior vice president of business development for Kaleida Health in 2009 after serving as the president at the former Millard Fillmore Gates Circle Hospital. He also held various other roles as vice president for ambulatory services and business development, director of ambulatory services, manager of quality improvement and director of Kaleida Health’s ambulatory surgery center in Williamsville. He has a Master of Business Administration degree with a concentration in corporate finance and healthcare systems management, from the University at Buffalo (UB). He also holds a Bachelor of Arts degree in community mental health and psychology from UB. Other appointment Jonathan T. Swiatkowski, CPA, has been named vice president of finance and strategic integration for the Great Lakes Health System of Western New York. In this new role, Swiatkowski will be responsible for coordination and oversight Swiatkowski of Great Lakes Health financial planning and reporting, supporting Kaleida Health, ECMC, affiliations and business development efforts. He will also provide financial oversight and support to the organization’s various non-hospital entities like Optimum Physician Alliance, Great Lakes Cancer Care and the EMR optimization project. Lomeo said, “As Great Lakes Health continues to evolve and we further integrate with our partners, it is vital that we are even more coordinated on a clinical, operational and financial level. I am confident that Jon’s skill set and experience will only help us achieve that. He has tions available to them,” Ram said. “Many of my patients over the years received great care at Roswell Park, so I’m especially pleased to have the opportunity to expand access to that world-class care and ensure good collaboration among providers in different clinical settings.” Ram holds a medical degree and a bachelor’s degree in electrical engineering from the University at Buffalo. ments will touch almost every aspect of the patient experience, from blood transfusions to rapid response management to transportation within and between facilities, and even staff scheduling will be optimized. Kaleida Health is in the second year of the implementation process. “This is a patient-centered, clinically-driven project to improve health outcomes for the communities we serve,” Dr. Hughes said. “Representatives of all medical specialties and nursing worked with experts from Cerner to set priorities and design the improvements our clinicians wanted before any changes were made to the system.” That phase of the project is now complete and the changes providers requested are going live. information technology and marketing departments at Roswell Park. He holds an MFA in media studies and communications from the University at Buffalo, and a bachelor’s degree from Northern Arizona University. healthcare industry and brings great leadership skills to this important position. She served over 20 years in several leadership roles at The Cleveland Clinic and has relocated to Western New York to bring her skills and acumen to ECMC. Most recently, Kaurich served as senior vice president of patient care services at St. Luke’s Miners Hospital, Coaldale, Pa. Kaurich earned a bachelor’s degree in nursing and a Master of Business Administration degree from the University of Phoenix. She is a member of the American College of Healthcare Executives (ACHE) and holds nurse executive advanced certification and registered nurse board certification. macotherapy, and evidence-based behavioral treatment approaches. Completion of the program satisfies the training requirement for the National Certificate in Tobacco Treatment Practice (NCTTP). “We encourage all health care providers who interact with tobacco users to register for one of these workshops,” says Laurie Krupski, PhD, training and development coordinator for health behavior at Roswell Park. “Tobacco causes over 30 percent of all cancers in the US. It remains the most deadly health behavior today and we have effective, evidence-based treatments. These trainings will give participants proven strategies and tools to treat tobacco use in your setting. ” Upcoming workshops are being held April 22-26, July 22-26, and Oct. 21-25. To register, visit the Roswell Park Tobacco treatment specialist training program at www.roswellpark.org. How will weight loss improve my health? cancer Can I beat this cancer? fracture Where do I go for a fracture? How do I get a transplant in time?